The Society for Technology in Education Philippines held its 2017 conference at Sacred Heart School – Ateneo de Cebu from April 5 to 7, 2017. 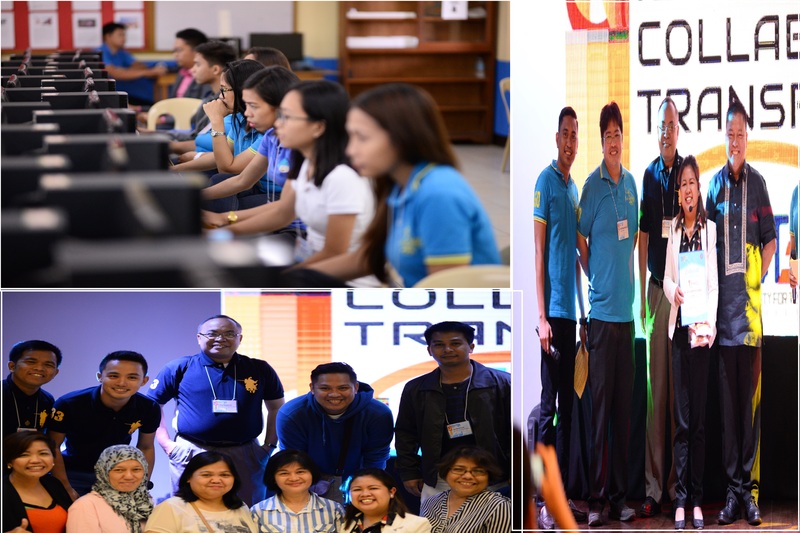 Educators from different parts of the country trained for information and technological advancement not only to be at par with the 21st century trend in education but also to understand the Generation Z learners and adjust to their various learning styles. This year’s theme was: “Ignite. Collaborate. Transform.” Each powerful word in the theme pertained to a particular day which allowed educators to focus on a goal for the day. Ignite. Day 1 of the STEP Conference jump started with the informative and thought-provoking keynote speech of RPN 9’s Battle of the Brains champion, Mr. Orion Perez Dumdum, a BS Computer Science graduate at the Ateneo de Manila University and an IT professional based in Singapore. Mr. Dumdum shared his reflections as a computer technician and highlighted the value of Information Technology as a “leveler”. His thought ignited the educators’ desire in technology for students to learn things on their own; thus, giving teachers the challenge to always make the topic interesting as possible so students will be well-oiled as independent learners. Collaborate. The flame for excellence on the use of technology continued on Day 2 as Ms. Lea Lilibeth Emata encouraged the educators to collaborate when using technology in school. She highlighted the idea and importance of “making”. To give a glimpse of “making” in education, Ms. Emata shared her experience on the “Maker Movement” which was held in her school, Xavier University – Ateneo de Cagayan. The Maker Movement in XUJHS was named Maker Faire which allowed high school students to collaborate with the entire school community in order to display and demonstrate their unique creations. In her keynote speech for “Collaborate”, Ms. Emata enlightened the educators’ minds, that “making innovates”. Students are innovation amateurs; therefore, teachers need to scaffold to help students become professional innovators. Transform. On the last day of STEP 2017, the educators were ready to transform into technology savvies as Fr. Johnny Go, SJ, facilitated the closing keynote speech using the i-Clicker. Fr. Johnny was able to do an instant pre-assessment of the entire assembly inside the Pope Francis Hall in a matter of seconds by simply using the i-Clicker (without the use of the Internet). He asked the audience the essential question: “What is technology for?” and pointed out that the task of educators today is to redesign learning for the 21st century. It means facilitating a learning that is active and learner-centered. The teacher as a leader of learning in the classroom needs to transform one lesson at a time, one classroom at a time. Indeed, educators have become a bit sharper after the three-day conference, their flames a little brighter as they brought home, not only prizes in the raffle, but also wisdom, information, and training that will help them form the envisioned learners of the 21st century.